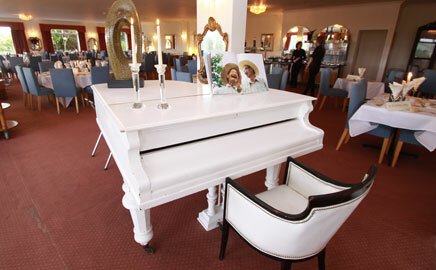 The Hotel California is a traditional hotel, located in a quiet residential area of Newquay. Tucked away from the hustle and bustle of town yet only a short walk away from the beautiful beaches and the variety of gift shops and high street favourites in the town, it is set in an unrivalled location for a relaxing (or energetic!) last minute short break or holiday. Discover who is Lord of the Pins! With a great range of food available from our grill and a fully stocked bar why not make an evening of it!! 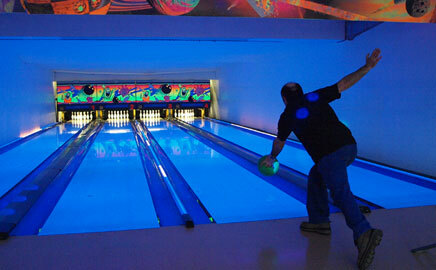 Don't just bowl, Glow Bowl at the Hotel California this year! Our ten pin bowling alley offers glow in the dark computerised bowling with food and drinks available too. Alternatively, totally relax and enjoy the hotel's many leisure facilities, let our on-site hairdresser pamper you, and enjoy cosy days and nights in our beautiful hotel lounge! Enjoy the magnificent views while sipping tea (or something a little stronger) from our sun terraces, read the paper, take a dip in the pool or play a friendly game of table tennis! All year round Cornwall is at it's very best! Stroll along one of Newquay's many clean and quiet sandy beaches, take a trip from Newquay harbour to catch a spot of mackerel, or meander through the countryside with its carpet of tulips, daffodils and crocuses. Further afield truly experience springtime in its glory at one of Cornwall's many gardens, or sample a cream tea in one of Cornwall's beautiful hidden coves. For the family, Newquay Zoo is a firm favourite, along with the Blue Reef Aquarium, National Maritime Museum in Falmouth and the National Seal Sanctuary in Gweek. Overlooking a picturesque sea inlet, the Hotel California is just a 5-minute walk from Newquay's popular Fistral Beach, set in an unrivalled location for a relaxing (or energetic!) last minute short break or holiday. The Hotel California is a traditional hotel located in a quiet residential area of Newquay in Cornwall. 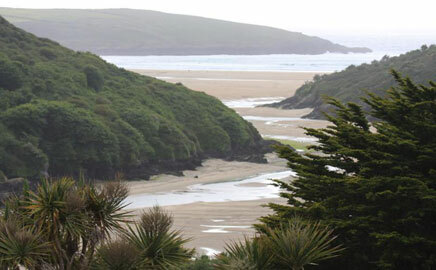 Overlooking the picturesque Gannel Estuary and Crantock beach, the Hotel California is just a 5 minute walk from Newquay's popular Fistral Beach, and set in an unrivalled location for your Holiday in Newquay, Cornwall Guests can relax with a drink and enjoy the stunning views from the sun terrace or try the menu at the California Bar and Grill. There is a great selection of shops, bars and restaurants within a 10 Minute walk from the hotel. The picturesque town of Newquay is home to some lovely beaches and attractions and The Hotel California, whilst being tucked away from the hustle and bustle of the town centre, is close enough to be able to explore the delights of this picturesque town. Hotel California has excellent leisure facilities including two swimming pools, a sauna and salarium, 4 lane bowling alley, squash court, table tennis, games room and pool and snooker tables. 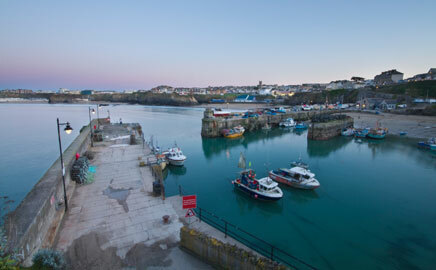 If you fancy a bit more adventure, there are regular fishing trips leaving from the nearby harbor and Newquay Zoo and other attractions in Newquay are only a short drive away. Bed & Brakfast - 3 Course Candlelit Meal, Full English Breakfast, all for £49.95 per person. An offer too good to miss! Enjoy a traditional 3 course Christmas Day lunch and a resident disco. Call our reservations team now on 01637 872798 to book your stay with us. Be it a stag do, hen night, birthday party or a fun filled Friday night, join us at Hotel California to discover who is Lord of the Pins on our state of the art ten pin bowling alley. Best rates on our website, book online today. Prices include Full English Breakfast, rate and rooms subject to availability. Subscribe and get details on our latest offers, news and events. Copyright © 2018 Hotel California. All rights reserved.